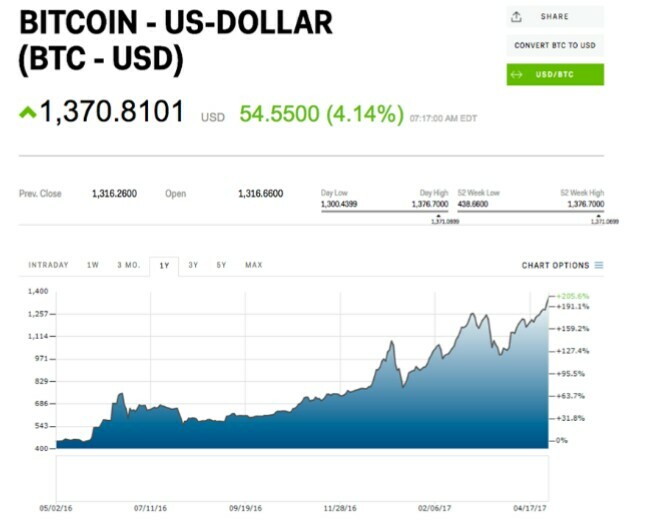 Bitcoin is at another fresh all-time high. Early buying ran the cryptocurrency above the $1,400 mark for the first time ever, but it has since pared those gains. As of 7:17 a.m. ET it trades up 4.1%, or $54.55, at $1,370 a coin. Monday’s advance comes with no specific catalyst, but has trade on track for its 10th gain in 11 sessions. Bitcoin has been moving higer over much of the past week following news that the US Securities and Exchange Commission will reconsider the Winklevoss ETF. Bitcoin has had a wild start to 2017. It gained 20% in the opening week of the year before crashing 35% on fears China would crack down on trading. Since then, it has rallied more than 80%, shrugging off the crack down in China, the SEC’s rejection of two bitcoin ETFs, and fears developers could set up a “hard fork” that would split the cryptocurrency in two. Not all of the news surrounding bitcoin has been negative. 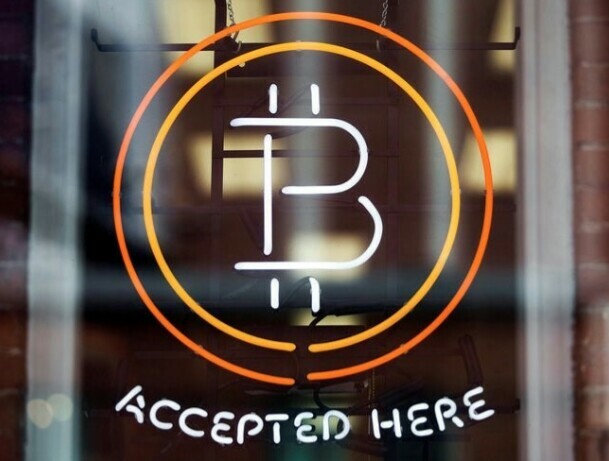 At the beginning of April, Japan’s financial regulators said that bitcoin was now a legal payment method in the country, and days later Russia said it would consider bitcoin and other cryptocurrencies in 2018. Bitcoin has been the top-performing currency every year since 2010, aside from 2014. It’s up about 44% so far this year.